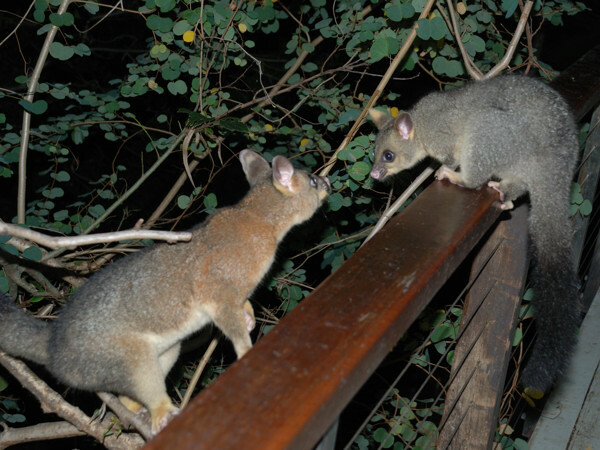 Just a brief update: The usual possums; Kiki, Spock, Wasabi and Pinot, have been visiting. No more pythons have been seen. Here's a photo of Wasabi and Spock in a tree. 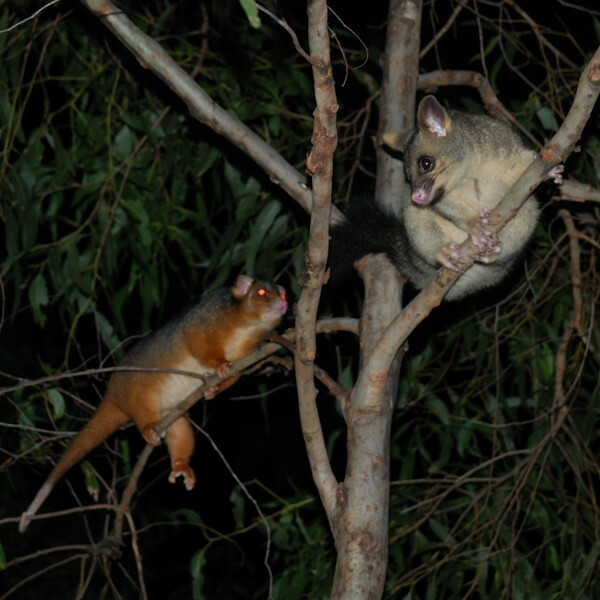 Although not aggressive, Wasabi is a brave possum who usually stands his ground when confronted by a brushtail. In this photo he's making his way into a tree, not deterred by the presence of Spock. Spock and Wasabi have come face to face a few times. While I don't think they regard each other precisely as friends, neither has felt the need to chase the other off, and neither has felt threatened enough to run away when the other approaches. Spock has also come face to face with Pinot. Pinot would come towards Spock and sniff his nose out of what appeared to be curiosity. Spock would respond by making defensive hisses and shrieks. Neither seemed inclined to back down.